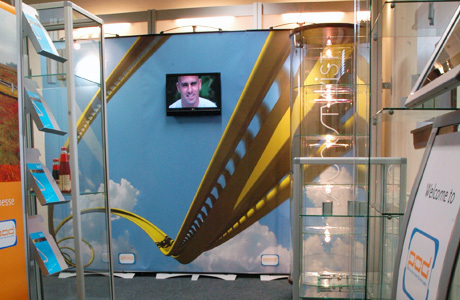 Our showroom visit service is proving extremely popular with prospective clients, as it allows them the opportunity to view any display systems they are considering prior to purchasing them. The showroom is designed to replicate various illuminated shell schemes so that the individual displays can be viewed in a realistic environment. 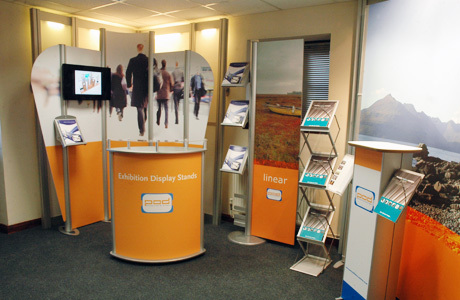 This “hands-on” experience also allows the clients to assess the ease of operation and portability of a variety different systems, finally choosing a portable display system that exactly matches their requirements. Please call us on: 01933 411159 to make a showroom appointment. 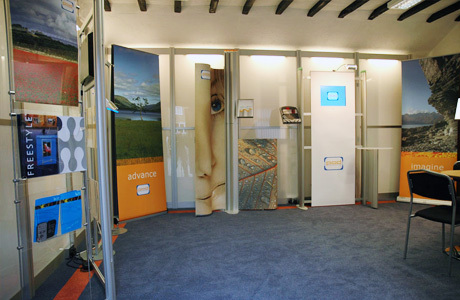 Our showroom is location next door to our main offices, which is based in Irchester, Northamptonshire. If visting our showroom via train travel is ideal for you, we are more than happy to collect you from Wellingborough Station which is only 50 minutes from St Pancras Station, London. Please call us on: 01933 411159 to let us know when you would like to come and we can arrange to pick you up upon your arrival at Wellingborough Train Station.